We know that you, reader, are not only a loyal Main Street Books bibliophile, but also a loyal Carolina Panthers fan. How could you not be, given Davidson's proximity to Bank of America stadium and Cam Newton's right arm? 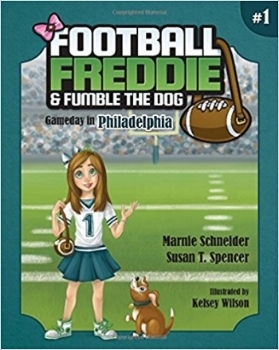 Thus, you might feel caught between two loyalties when you learn that Main Street Books will host a signing table for Marnie Schneider, author of Football Freddie & Fumble the Dog: Gameday in Philadelphia. We understand. Truly, we do.